It's a great time to be a bridesmaid in your friends wedding, as the styles designed for you are becoming all the more elegant and wearable, in the sense that you would wear it to another formal event. We have selected to retail in our location some of the top most beautiful lines available in North America and the gown variety available will simply amaze you. 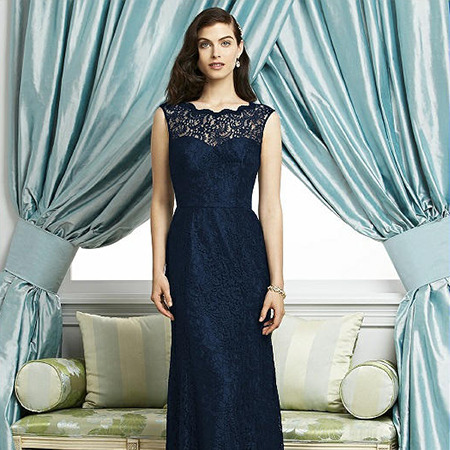 With over 500 bridesmaid gowns in stock, we cater to any budget the bridal party has (min. budget: $150, average: $230, couture selection: up to $800). Most companies will accommodate sizes between 0-30 and will offer a range of colors for each gown. Click on the designer names listed below to have a look at what you will find in store. Keep in mind; we do not have in stock every single gown from each of the designers listed below. We will select, depending on the line, 10-20 of their dresses each season, that based in our experience and expertise will offer great style, stunning fit and the best value for our customer. Having said that; as an authorized retailer of these lines we can order any dress from their selection for you, even if we don抰 have a sample in store. Call our customer support team weekdays 10am-6pm with any questions regarding gowns you抮e interested in and they will be glad to assist you. So, call us at (905)856-6888 for any inquiries. We don't require appointments for browsing visits. Walk-ins only. We look forward to serving you!